Philanthropy – Advisors and their Clients: Are they on the same page? 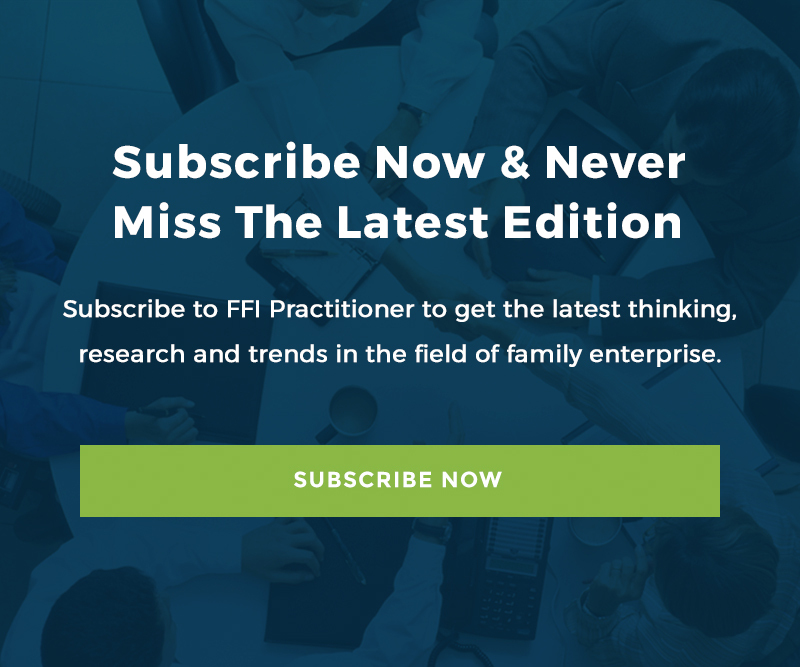 This week’s invited blog extends a conversation on philanthropy and the role of family enterprise advisors that began at an educational event at the FFI global conference in San Diego in October. Some startling research conducted by The Philanthropic Initiative (TPI) on the difference in perceptions on philanthropic motivations and de-motivations between advisors and their clients is shared. At the risk of stating the obvious, philanthropy meaning ‘love of humankind’ is the giving of money, time, assets, encouragement or expertise to create a social or environmental impact. It is driven by people’s passions, values, interests and concerns. It is therefore about much more than estate planning and saving taxes – in fact a discussion on philanthropy can provide a forum for a family to talk about its values and the purpose of its wealth and at the same time, thoughtfully done, make a difference to the causes and communities the family cares about. 46% of advisors in the study think the client is motivated to reduce taxes – but only 10% of the clients agreed with that. How about philanthropy as a way to enhance the family name/business? 22% of advisors thought this was a motivating factor, but only 3% of the clients in the study shared that view. Advisors (41%) tended to think that families were worried about not leaving enough money for their heirs while only 4% of clients held this point of view. Obviously there are many conclusions that can be drawn from this study (which I believe from experience is shared in many other parts of the world) but perhaps the most obvious is that family enterprise advisors need to examine their own opinions, feelings and information on philanthropic endeavors. Advisors can add great value in taking the philanthropic conversation deeper to help families to integrate it meaningfully and not just structurally into their wealth plans. By this I mean going beyond establishing philanthropic vehicles – to helping clients link their values to their philanthropic goals, helping design ways for the generations to work together, helping them learn about the causes and communities they care about and how they can really make a difference. So, why should you as a professional advisor have this deep conversation with clients about their philanthropic interests? Starting with the obvious – they know you and they trust you! You can ask tough questions whilst being objective. And…it’s good for business. It positions you as socially minded and understanding the role that philanthropy can play in your client’s goals. By having a detailed discussion on philanthropy you demonstrate a holistic approach to your other services to the family enterprise. And, if you don’t provide sound philanthropic advice, someone else will! To read the complete report from TPI, go here. Maya Prabhu is Managing Director of the Coutts Institute in London, a faculty member for the GEN courses, and the program co-chair for the 2014 FFI global conference in Washington DC. Maya can be reached at [email protected]. Proposals for educational sessions are now being accepted on the conference theme Family Enterprise: Complexities, Constituencies and Constellations. Deadline to submit a proposal is January 20, 2104. Please go here to read the Call for Proposals and to submit online.